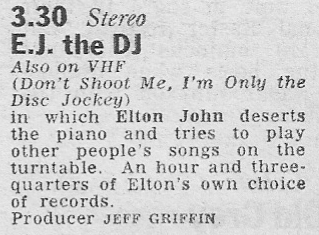 Sir Elton has, it seems, overlooked his appearance as a Radio 1 DJ back in the mid 1970s on EJ the DJ. 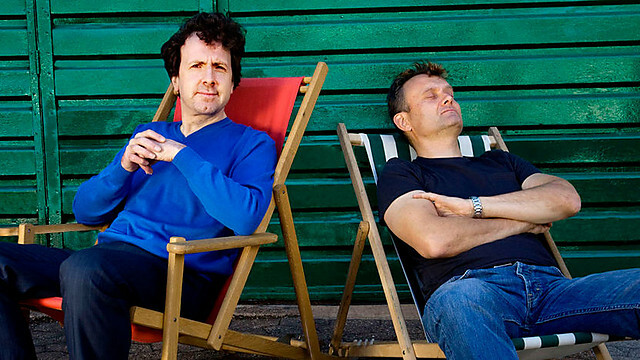 “Is this the end”, asked the Radio Times, “for Tony and Ed. Goodbye to Kid and DLT?” EJ the DJ aired on Good Friday 28 March 1975 and he was re-booked for a second turn on Boxing Day 27 December 1976. Do you have a copy of these shows, if so please get in touch. In the meantime he’s a clip of an historic broadcast from 1979 as BBC Radio 1 relayed a live Elton John concert from Moscow. Presenting the programme from the Rossya Hall is Andy Peebles. Edit 20 Nov 2017: Since I wrote this post some audio of E.J. the DJ has surfaced. A clip was played during the Radio 1 Vintage weekend. I've also received a short off-air recording from David C. Mitchell. I start my review of the early BBC Local Radio stations by, ironically, focussing on an area that didn’t get a local station until 1980. 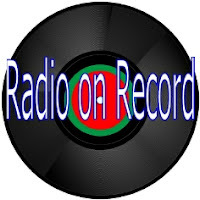 It’s timed to coincide with a documentary going out this Bank Holiday Monday on Radio Norfolk titled Radio in a Roundabout Way. By the early 1970s the BBC’s English regional opt-outs on Radio 4, and prior to that on the Home Service, were being phased out as the local radio network expanded. Regional identities remained in just East Anglia and the South-West. The first regional opt-out from Norwich was a 35 minute show Happy Weekend, Everybody, billed as “Your songs, your music, whatever you’re up to”. The main presenter was Tom Edwards already well-known in the area as a former host on BBC1’s Look East as well, of course, as being a former pirate and Radio 1 DJ. However, the music mix of everything from “Semprini to rock ‘n’ roll” was not perhaps what the Radio 4 audience expected. The series ran from 1968 to early 1970 and alongside Tom the other host was former TV announcer Maggie Clews. Launched in April 1970 was the region’s first news based magazine show, a half-hour opt-out from the Today programme called This is East Anglia. Again fronting this was Tom Edwards and, occasionally Jean Goodman who also presented Woman’s Hour from the region. You may recognise that theme tune as the one first used by Breakfast Special on the Light Programme back in 1965, Jumping Jupiter by Ron Goodwin. 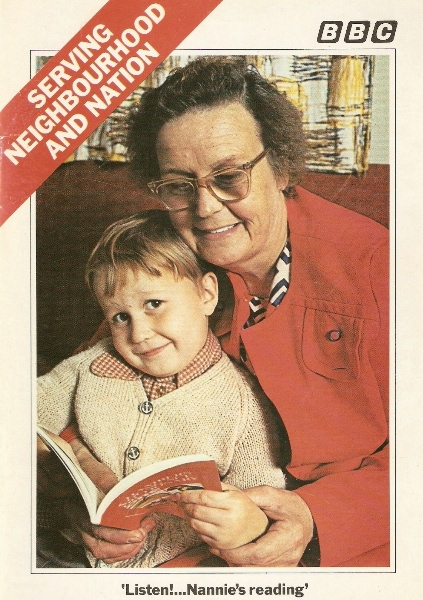 But, according to the BBC publication Serving Neighbourhood and Nation, “half-an-hour tended to be too short a time for the magazine to develop character and production staff felt this somewhat cramped their style”. From 5 August 1974 the programme was extended to two hours (0645-0845) with a new title, Roundabout East Anglia. Broadcast on VHF only it provided the regional slant whilst Today continued on medium wave only. 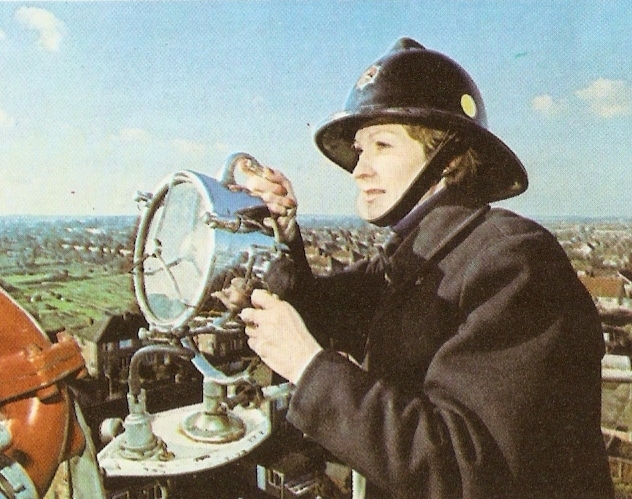 For the first year Christopher Trace (of Blue Peter fame) was the anchor followed by Ellis Hill (pictured above on location with the Norfolk Fire Brigade) and then finally John Mountford, who would go on to work for Radio Norfolk. The mix of hard news and music in a magazine programme came to define the style of BBC local radio, all it lacked was the phone-in element. The VHF transmission area for Roundabout East Anglia spilled over into parts of Lincolnshire, Bedfordshire and Rutland attracting a regular audience of 300,000 listeners. 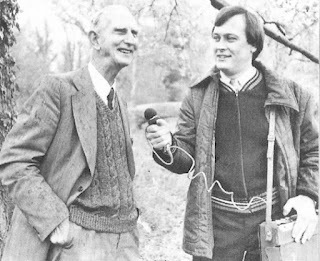 Stories from this vast, mainly rural, tract of land were provided by eight freelance reporters working for senior producer Michael Chapman (pictured above with naturalist Ted Ellis) based at BBC East’s regional HQ at All Saint’s Green in Norwich. You can hear interviews with many of the key players in the programme both on-air and behind the scenes in the Radio Norfolk documentary Radio in a Roundabout Way. Little archive material of the show existed apart from some tape inserts courtesy of reporter Stuart Jarrold but fortunately newsreader Michael Drake had kept his cassette copy of Roundabout’s Last Farewell when the programme ended on 30 May 1980. Four months later Radio Norfolk had launched. Edit: the documentary has long since been unavailable on the iPlayer so here it is to enjoy all over again. BBC local radio is under threat or at the very least faces a very tight squeeze. Programmes outside the core hours face the possibility of the chop or being shared amongst groups of stations. Some specialist music shows have already been dropped. Medium wave transmitters are being shut down and from January next year a new “Radio England” evening show has been commissioned to run across the whole network. In this series of posts I’ll revisit the early days of BBC local radio and recall the programmes and personalities of the 1970s. Radio began in Britain on a local basis. The early BBC built transmitters and studios in 20 cities. But the supply of wavelengths ran out. So a handful of high-powered regional stations, networking together, replaced the score of local outlets. The development of radio as a local amenity was abruptly interrupted. That was 50 years ago. In the subsequent decades, broadcasting took hold in Britain very decisively, and showed its ability to make a powerful contribution to the enrichment of national life. To the metropolitan mind, that achievement was enough. But many in the BBC knew that its service was not comprehensive. It lacked one major dimension. To serve national interests was a fine thing – but Britain is a country in which local life matters, too. For many people local interests and issues matter as much as national affairs. Given its chance, broadcasting could stimulate and energise local life just as effectively as it had already contributed to the life of the nation at large. But when would the chance come? By the mid-fifties, the post-war pattern of national and regional broadcasting was well consolidated. The time was ripe for an advance. Technical developments and particularly the opening up of vhf, made additional radio channels available. Those who had the vision of what radio could do for home-town life began to preach their gospel. The BBC prepared a plan for local broadcasting and began to talk to the Post Office about it in 1958. Two years later, the Government put the idea, along with many others, to its Pilkington Committee on Broadcasting. Two years after that, in 1962, the Commons recommended the introduction of BBC Local Radio. But this was one recommendation he Government would not swallow. It wanted to be convinced that there as public demand. How the public could be expected to demand something of which it had no concept, no model and no experience, was not explained. So there followed years of campaigning – lobbying, demonstrations, lectures, discussion – until eventually local opinion up and down the land was so strongly mobilised that at Christmas 1966 the Government authorised a two-year BBC experiment with a handful of stations. The experiment had to be paid for by local money, and a number of local authorities made this possible. In November 1967, stations opened at Leicester, Sheffield and Liverpool. Five more followed in quick succession. The results were immediately convincing and within 18 months Whitehall authorised the BBC to expand the number of local stations to 20, and to support them form licence revenue. It had been quite a struggle. But, at last, radio was firmly recognised and accepted as a community instrument of great value. For very large numbers of people in the cities where it exists, life without local radio is now unimaginable. The sooner every community of any size in Britain can enjoy such a service, the better. And the richer the life of the nation as a whole will be. As T.S. Eliot said, healthy national life is founded on healthy local life, and a healthy national culture that springs from lively local cultures. This brief narrative somewhat underplays Gillard’s significant role in proceedings. As he mentions in the documentary posted below it was his personal intervention that got local radio back on the Pilkington agenda when he persuaded committee member J.S. Shields to reinstate the discussion. Throughout the 60s a number of experimental trials around the country helped prove the concept and convince the decision makers. Although initially operating costs were funded in partnership with willing local authorities Gillard argued that the network of stations should be paid out of the licence fee at a time when the corporation was facing one of its regular financial squeezes. A review of operations culminating in the Broadcasting in the Seventies policy paper agreed that 40 stations would be opened; though, in the event, only 20 were on air during the seventies. 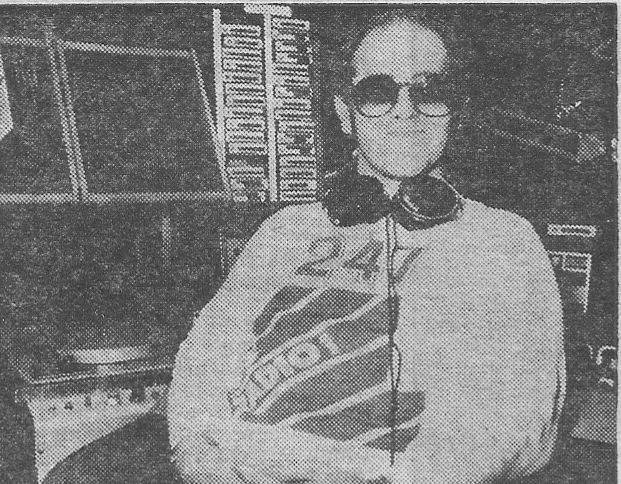 It wasn’t until Radio Norfolk launched in 1980 that phase two came into effect. Celebrating the first two decades of BBC Local Radio is this Radio 4 documentary The Switched-On Parish Pump. Presented by David Clayton and Neil Walker it was aired in March 1988. Just over a year I wrote about Alan Dell and was pleasantly surprised by the comments and interest I had in the blog as a result. So I’m taking the opportunity to once again dip into the Dell archive. 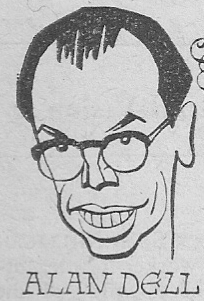 Alan was already an established radio voice when this illustration appeared in the Radio Times in 1956, in the week that he was the compere on Housewives’ Choice. In the next couple of years he would present Pick of the Pops, the daily magazine show Roundabout and the weekly Date with a Disc – billed as “a choice of gramophone records for the family circle”. By 1959 Date with a Disc had become a Saturday lunchtime fixture, sandwiched between Sports Parade and Movie Matinee and now billed as “music for moderns”. It was these shows that Chris Wray recalled when we wrote to me earlier this year saying he’d stumbled across an old home recording of one of Alan’s shows. Though the reel was undated Chris believed it was recorded in 1959. Anyone who remembers Big Band Sound and Sounds Easy will find the presenting style and playlist somewhat familiar. Date with a Disc continued its run intermittently until the mid-60s. And speaking of Big Band Sound I was also contacted by Glenn Harvey who had rediscovered an old cassette recording of Alan’s 100th show, possibly from early 1972. If anyone can accurately date this show please contact me. You can read Glen’s blog Lysander Days which he describes as a “canalised version of a Diary of a Nobody”. This edition of Sounds Easy from my own collection was broadcast on Sunday 14 December 1980, what a wonderful way to spend Sunday afternoon. This was just a couple of days after Frank Sinatra’s 65th birthday so the playlist has a heavy slant to ‘Ole Blue Eyes’. And a big thank you to Paul Langford who sent me a whole slew of Sounds Easy recordings. From those shows I’ve selected this excerpt for two reasons: first it contains a show favourite Henry Mancini and secondly Alan plays Mancini’s “sonorously beguiling” Dreamsville that he used as his theme tune when hosting Music Through Midnight. Finally a correction to my earlier post. Sounds Easy’s closing theme That’s All was, in fact played by Henry Mancini & his Orchestra. The opening theme was by Andre Previn & his Orchestra entitled Blame It On My Youth. Both are commercially available. The first series of Big Band Sound was actually presented by David Gell on Radio 2 in late 1967 and early 1968. This was succeeded by a Radio 1 series (back in the days when Radio 1 was home to not just pop but folk, country and big band music too) called Swing Session. This was hosted by Hector Stewart, Ken Sykora and Alan Dell and ran in 1968/69. The first Big Band Sound with Alan Dell was broadcast on Radio 2 in late 1969 on a Saturday afternoon. It moved to a regular Thursday night slot in April 1970 and it’s from then that Alan dates the show’s main run in the 100th show above. Over the years it was either billed as Big Band Sound or Big Band Era. The series Dance Band Days started life as a short series called The Golden Age of Dance Band in October 1972 at the time of the BBC’s 50th anniversary. The main series itself was first broadcast from October 1973 and was either scheduled as a separate programme or preceding Big Band Sound. For many years both shows went out on a Monday night. Radio on Record – W.O.L.D. On this date back in 2003 Noel Edmonds made his return to national radio when he sat in for a recuperating Johnnie Walker on BBC Radio 2. And the first record he played was Harry Chapin’s W.O.L.D. Noel had a bit of a soft spot for those singer songwriters (he chose music from Neil Diamond, John Stewart and Jim Croce on his 1978 Desert Islands Discs appearance) so perhaps it wasn’t a great surprise for this former “morning DJ”. One of my favourite comedies The Now Show is putting in extra appearances over the Olympics fortnight. But, in fact, Steve Punt and Hugh Dennis have been here before, poking fun at “the oddities of Olympic antics” during the Seoul Games in 1988. This was early in Punty and Denno’s career at a time when they had just worked together on BBC1’s Carrott Confidential and a short-lived Radio 4 series Live On Arrival. The following year they would star with Baddiel and Newman in The Mary Whitehouse Experience. Olympiod 88 was broadcast on BBC Radio 4 on Friday 23 September 1988 (this was part one of two shows). It also starred Paul B. Davies, Joanna Mackie and Jeremy Stockwell. The producer was Bill Dare. Stand by for Hugh doing his David Coleman impression and the appearance of Ron Wittering “in the swimming pool”. The supersonic age promised so much but delivered so little. It fizzled out, not with a sonic boom but with a whimper. 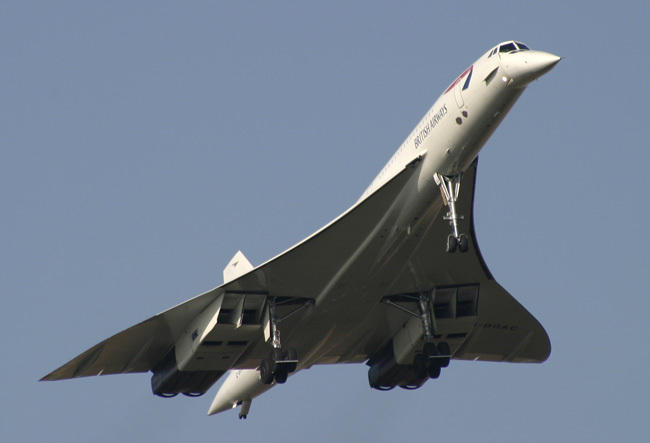 But you cannot deny the fascination of the symbol of supersonic flight, Concorde. In this 1989 edition of Radio 4’s Going Places Clive Jacobs celebrates the 20th anniversary of the first UK test flight. Listen out just over half-way through for the heart-stopping moment when Concorde crashes into the World Trade Center, fortunately it’s a flight simulator. This programme was broadcast on 31 March 1989. This is the fifth of six summer posts on travel and transport.